Ring, ring, ring, jingle, ring. Every time the Santa Bell rings an angel gets its wings! What a beautiful sound. Maybe you can hear the same sound as Santa flies through the sky delivering gifts. The children of the world love to hear the jolly sounds of jingle bells. The sweet sounds of the holiday bells is a great way to get everyone's attention. Who doesn't want a little extra Christmas joy in their lives? 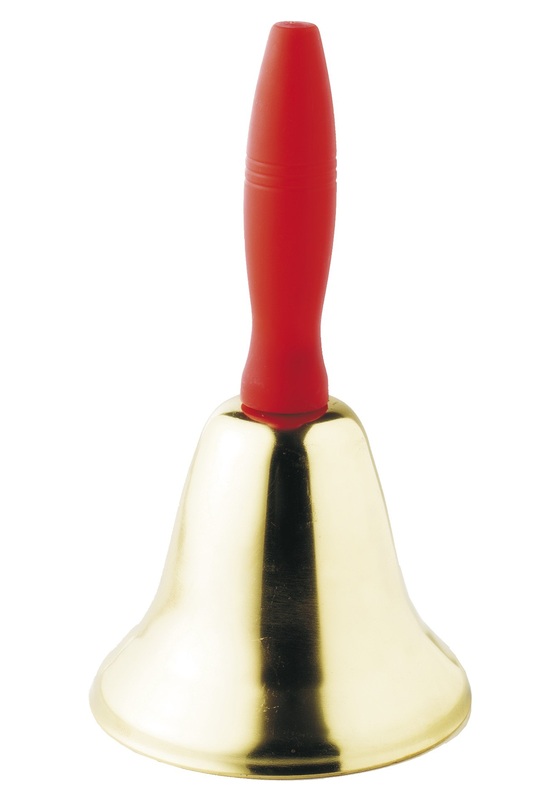 Whether you are out singing with neighbors or waiting for Santa to come a bell is the perfect musical accompaniment. Ring, jingling, and dance to the holiday beats. Sing along to Jingle Bells and keep the beat with the Santa Bell. Bring the bell with you to keep music in the air this holiday season. Bell is light duty. Looks good but rings like a chikd’s toy.